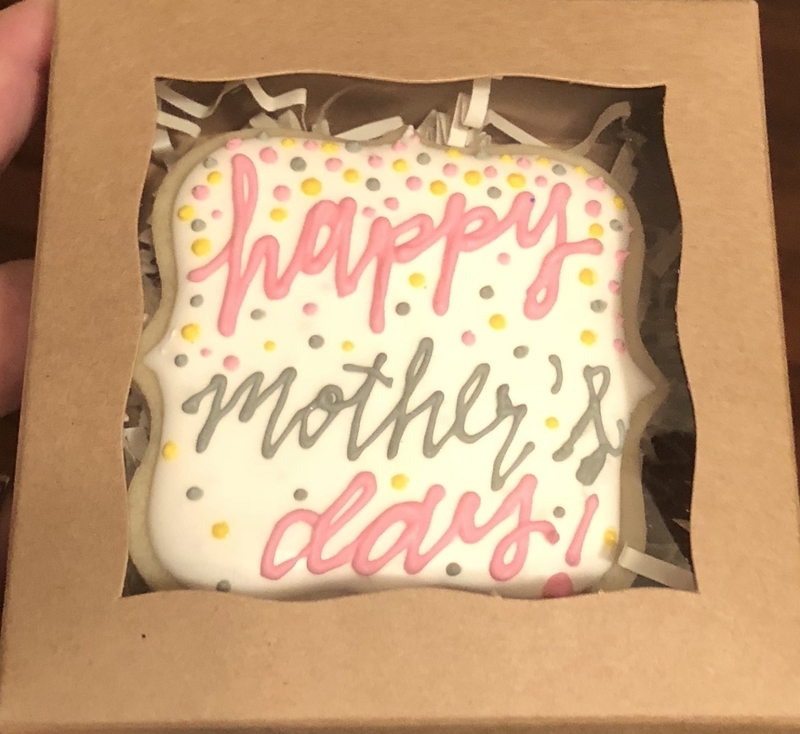 Perfect for a single cookie. Easy to put together. I love how these boxes show off my chocolates! These are perfect!! 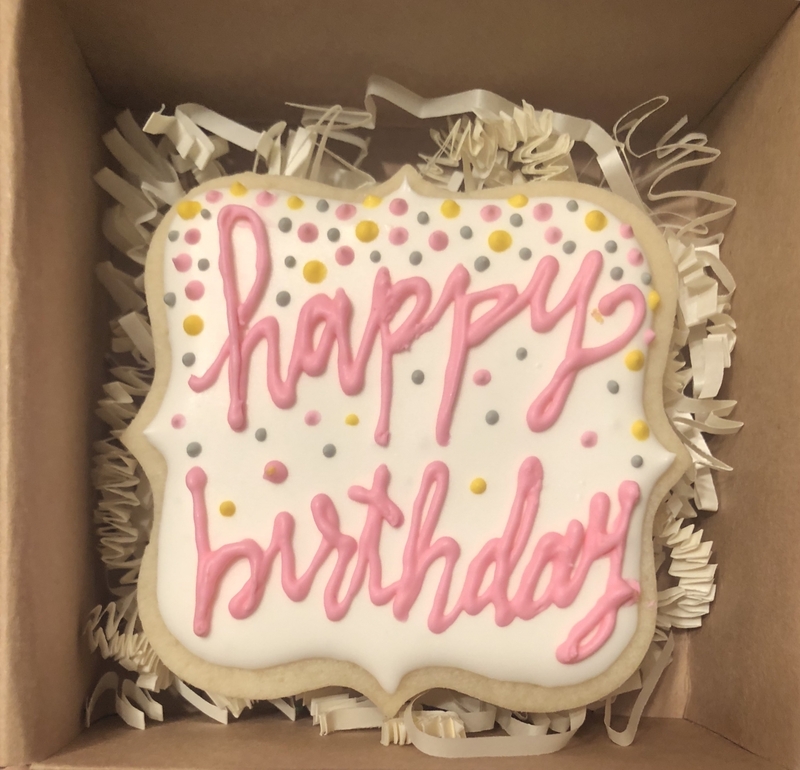 We are a new business and I was referred to this website from another bakers page. I am so glad I found them! 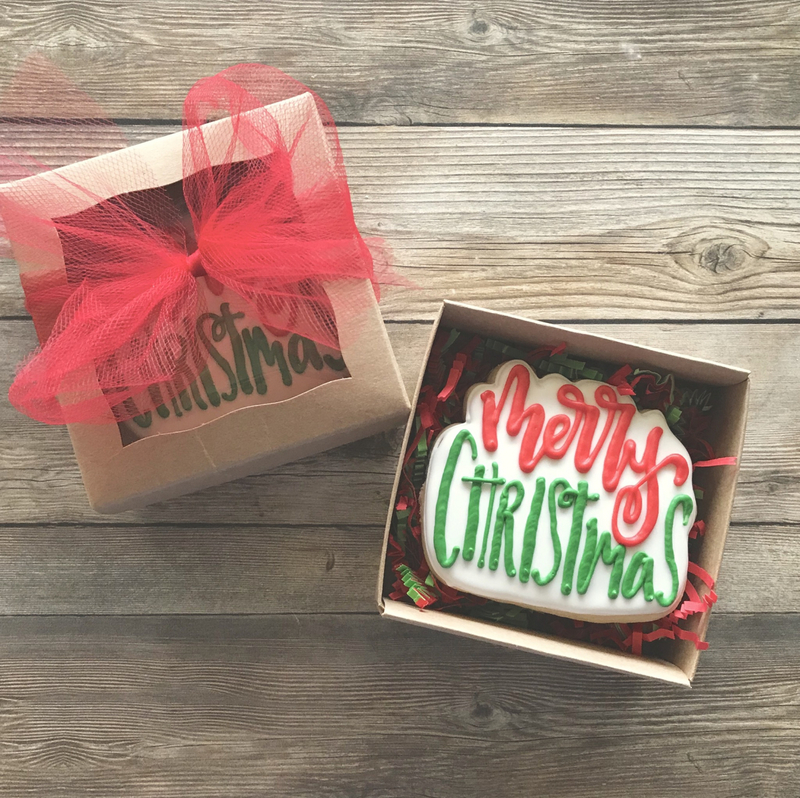 These boxes are super cute, easy to assemble, and sturdy enough I don't have to worry about my cookies safety. Best UsesThese work best for single cookie display or 2-3 stacked cookies. It was my first time shopping at BRP Box Shop purchasing these boxes. I had seen so many good reviews about it. The shipping cost to Australia was up there but I expected that & I figured if the box lived up to the hype then it was worth it. And they surely did. Following the assembly video was so easy and once it was together I couldn't get past how damn cute it was. 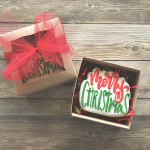 I can't wait to see my cookies presented in this awesome little box. Best boxes going. Quality is great have ordered many different boxes and never disappointed. Shipment is amazing I get standard shipping and arrives the next day. These will be perfect for my doggie cupcakes. Good quality and easy to assemble. I put cutout cookies in here as well as use the 4 cavity insert for cake balls. Makes a great presentation. This box is perfect for cookies. Dress it up with ribbon or leave as is, either way this box is perfect. Best UsesI like putting one dozen mini cookies in this box. It would also be great for a few drop cookies or a big brownie! I love the quality of these boxes. They were sturdy and easy to put together. I love all BRP items I have tried! 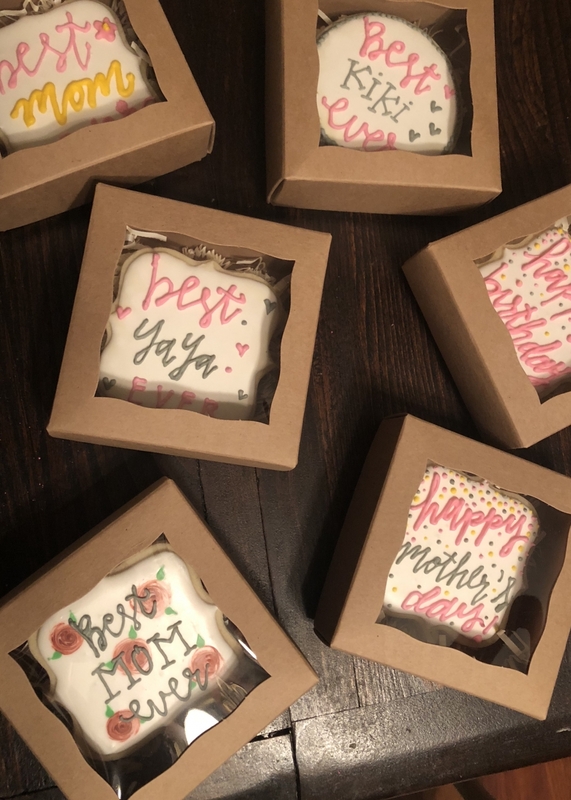 I bought these for some cookies I'm doing for a bridal shower and they are the perfect size and color, I'm very happy with them. 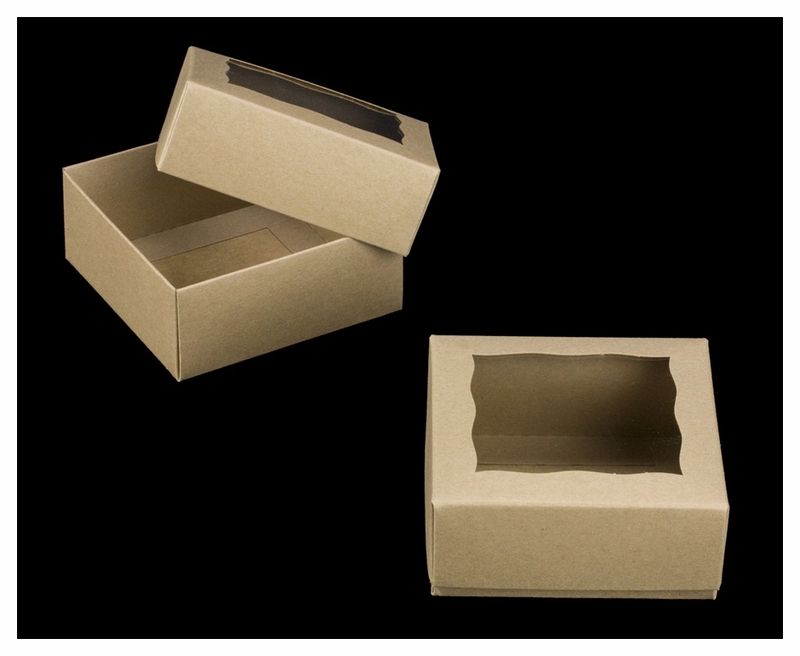 After searching the Internet I found these boxes to be the perfect size to fit 3 or 4 macarons for party favors for a baptism. I used wrapping tissue to decorate the bottom and paper crinkle to fill up the box. I look forward to using these boxes to fill them up with homemade macarons to give to friends. These boxes are fantastic. They are just what I needed to add some pizzazz to a simple heart cookie for a wedding favor. They are extremely well constructed and easy to assemble. So glad I found these boxes. It's great for 4 to 5 items. 5 mini cupcakes. Multi use, bonbons dipped fruit. Looks amazing and great quality. Will order again. Customers loved their sweets in this. This pint size box is fantastic. Construction is sturdy and the window perfectly shows off your treats. This is a new packaging option for me and I love everything about them. The coordinating candy tray is a perfect fit to finish the interior. 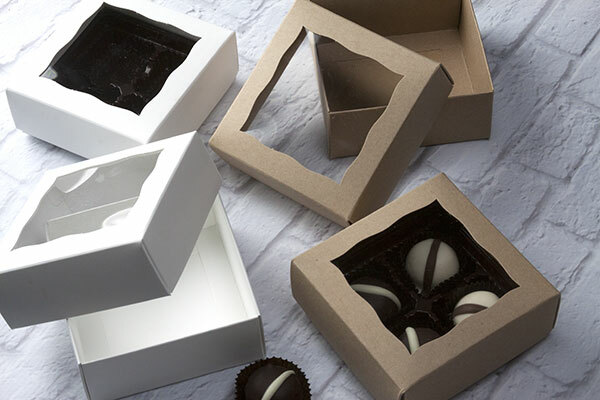 What is the code / product number for ordering the "white" box 4" x 4" x 1 3/4"? Can it absorb wetness from a "moist cake"? Is there a foil-like or waxed lining to the box or manufactured in the box? How long (time span) will a slice of cake or pie last before becoming stale or sour? Is the window open or have some type of cover to protect the product inside? Sorry, I found my answers in your FAQ section. Thanks! 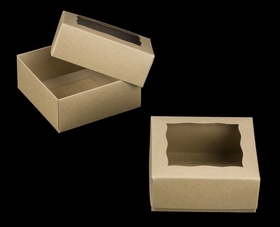 Are your "Brown" boxes made with any recycled paper content? Does the fact that they are brown indicate that the paper is unbleached? Thanks! What are the dimensions of the window?